What is Motion? Chapter 9 Section 1 and 3. 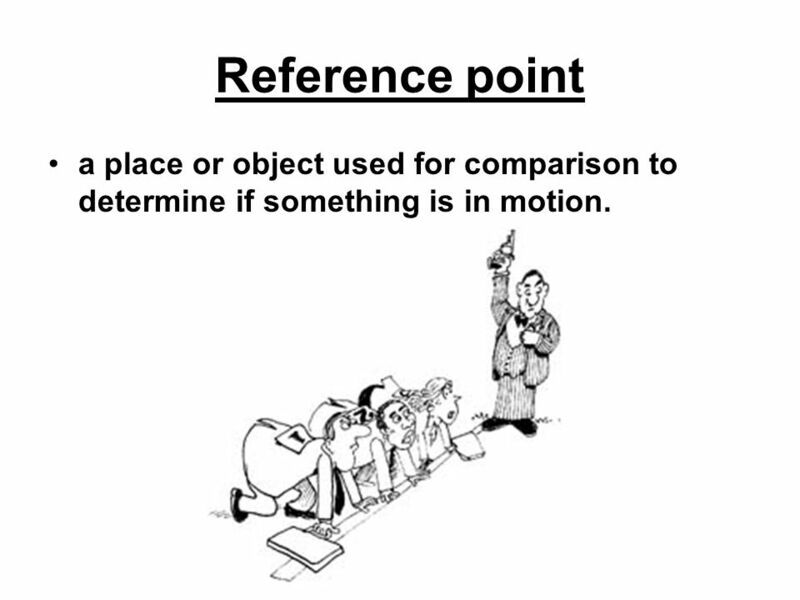 2 Reference point a place or object used for comparison to determine if something is in motion. 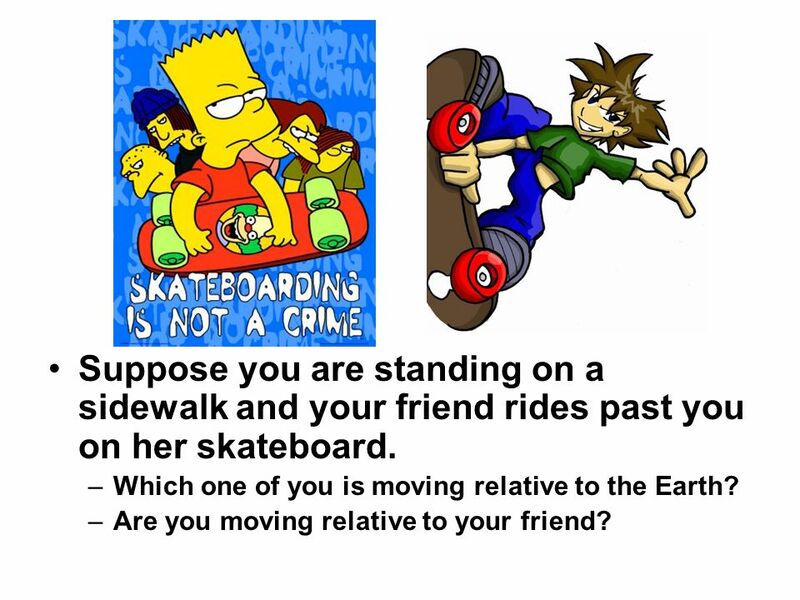 3 Suppose you are standing on a sidewalk and your friend rides past you on her skateboard. Which one of you is moving relative to the Earth? Are you moving relative to your friend? 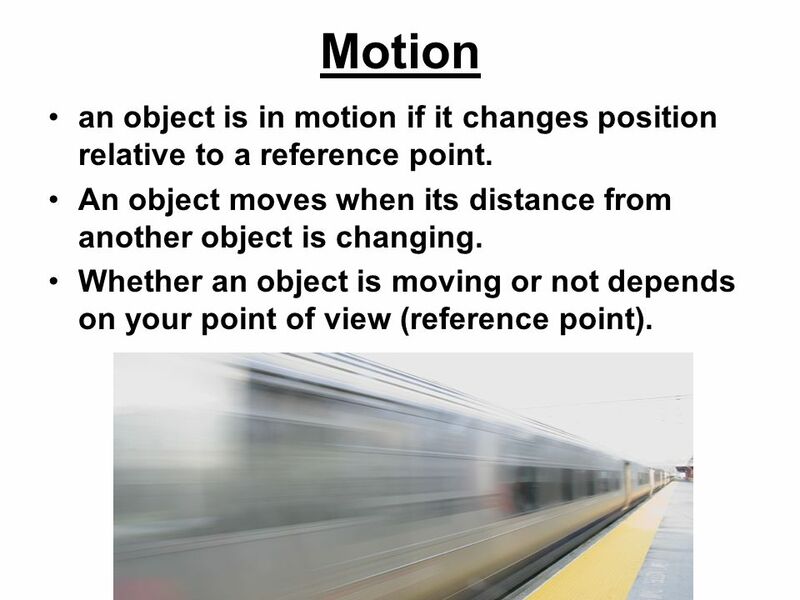 4 Motion an object is in motion if it changes position relative to a reference point. An object moves when its distance from another object is changing. Whether an object is moving or not depends on your point of view (reference point). 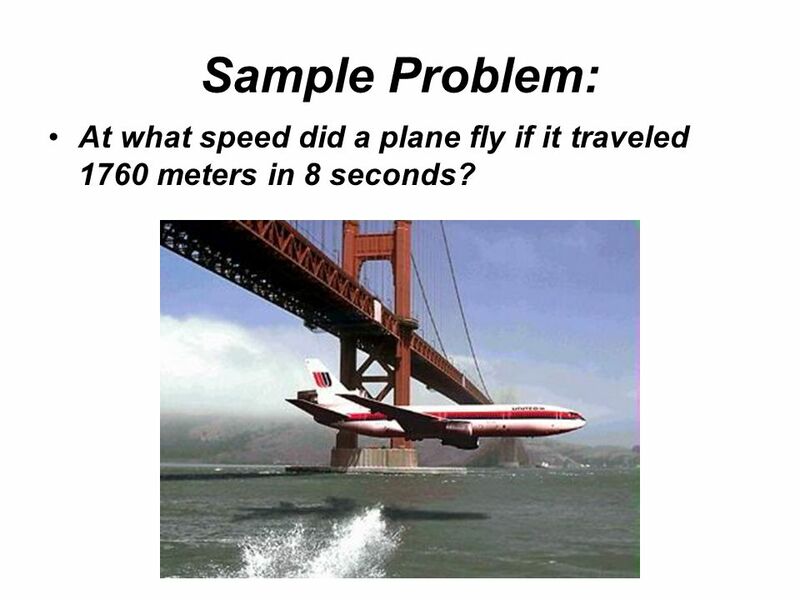 6 Sample Problem: At what speed did a plane fly if it traveled 1760 meters in 8 seconds? 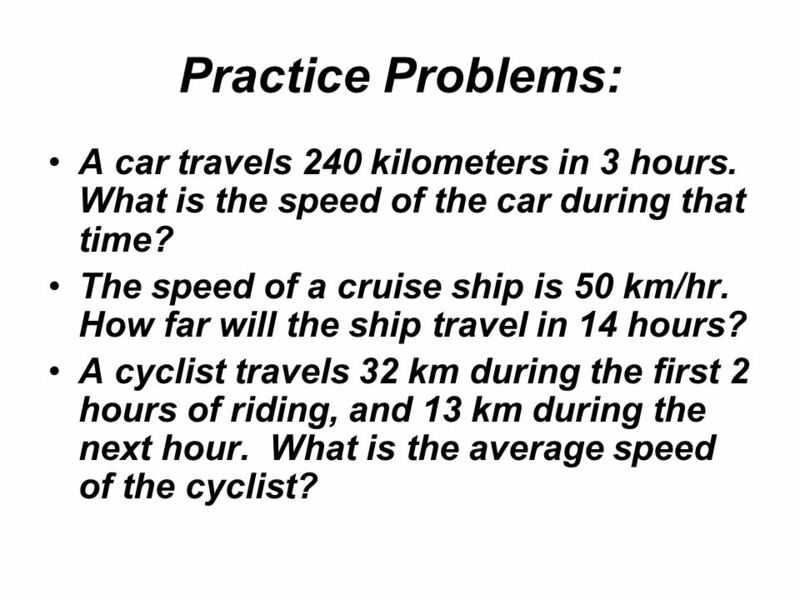 7 Practice Problems: A car travels 240 kilometers in 3 hours. What is the speed of the car during that time? The speed of a cruise ship is 50 km/hr. How far will the ship travel in 14 hours? A cyclist travels 32 km during the first 2 hours of riding, and 13 km during the next hour. What is the average speed of the cyclist? 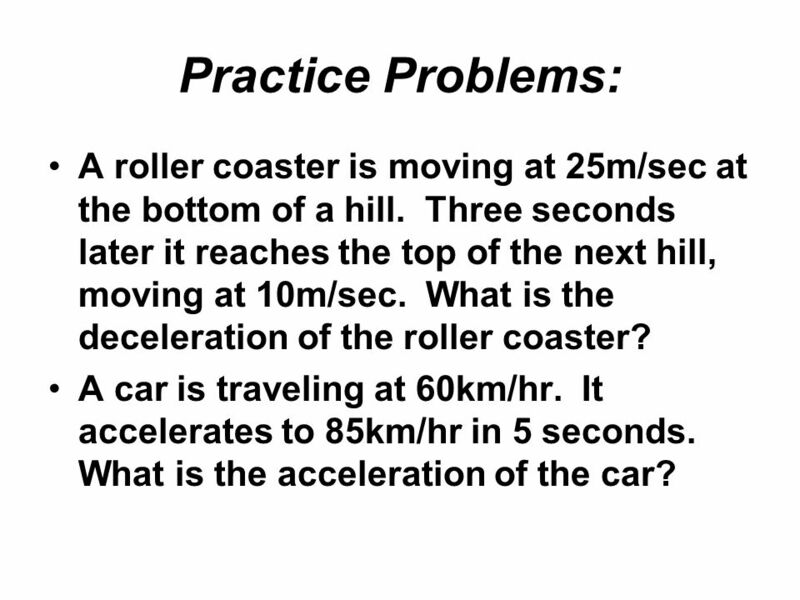 11 Practice Problems: A roller coaster is moving at 25m/sec at the bottom of a hill. Three seconds later it reaches the top of the next hill, moving at 10m/sec. 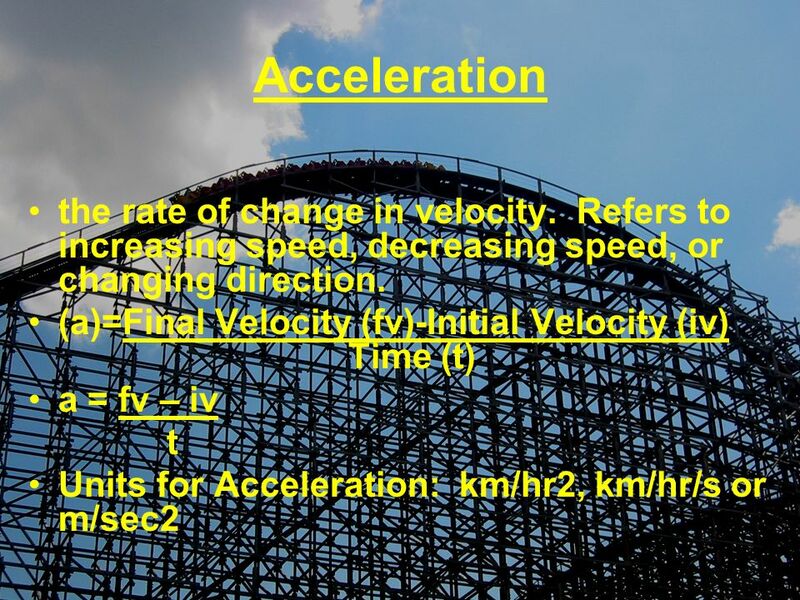 What is the deceleration of the roller coaster? A car is traveling at 60km/hr. It accelerates to 85km/hr in 5 seconds. 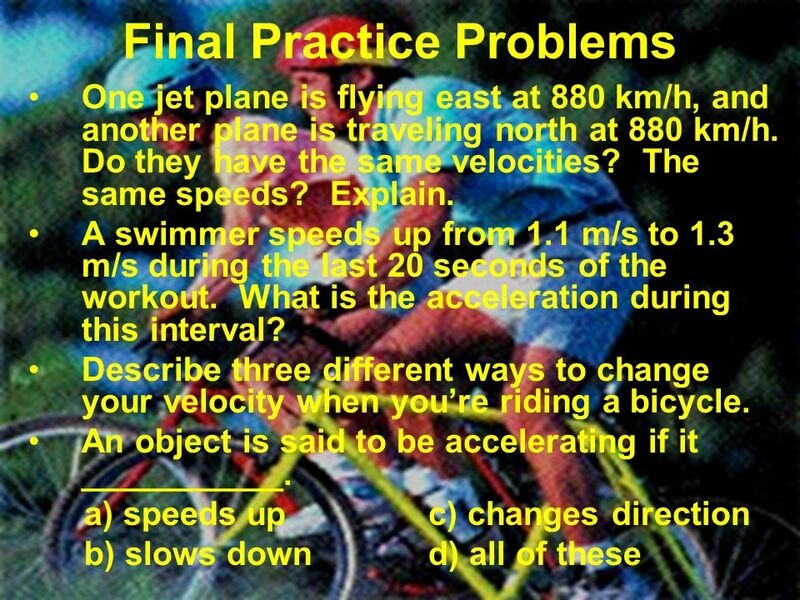 What is the acceleration of the car? 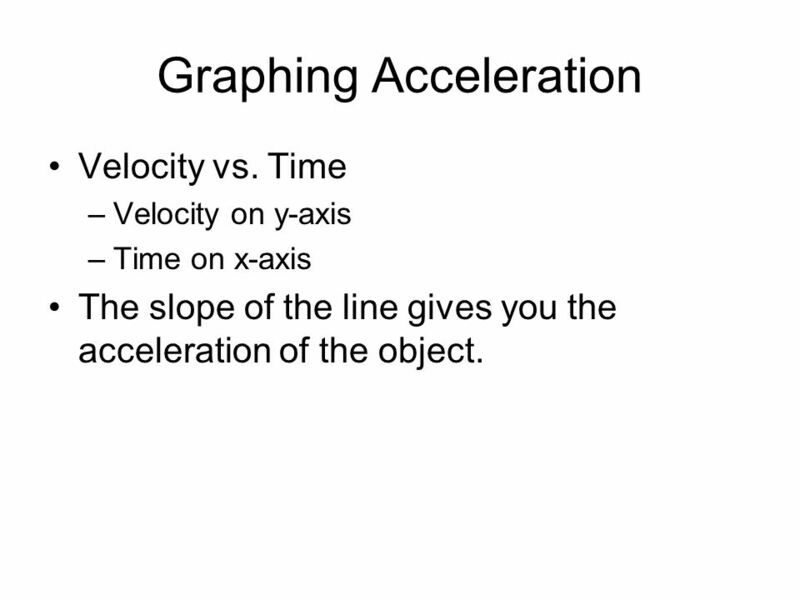 Velocity vs. Time Velocity on y-axis Time on x-axis The slope of the line gives you the acceleration of the object. 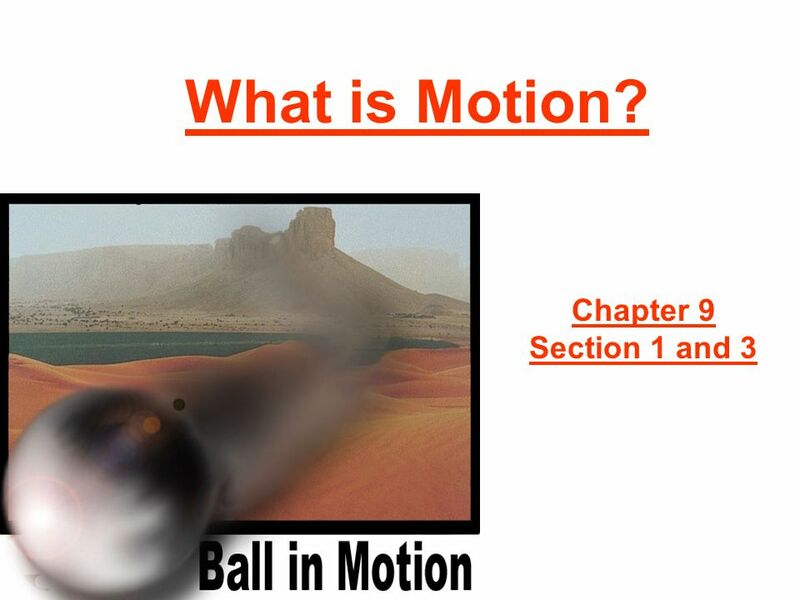 Download ppt "What is Motion? Chapter 9 Section 1 and 3." Motion and Momentum Chapter 7. Acceleration! Chapter 9 Section 3. 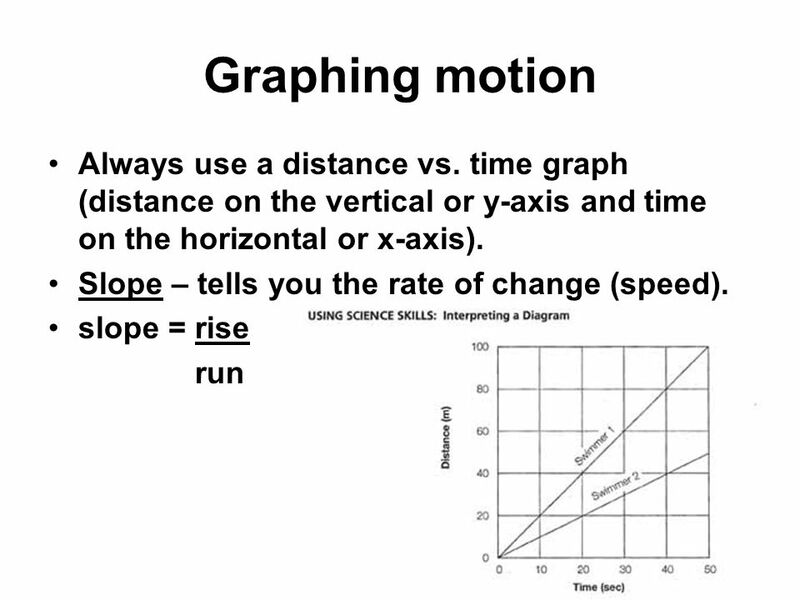 Motion A change in position relative to some reference point during a period of time. Objectives: 1.Be able to distinguish between distance and displacement 2.Explain the difference between speed and velocity 3.Be able to interpret motion. Table of Contents 2 Chapter 2 Motion. P. Sci. Chapter 11 Motion. What is speed? 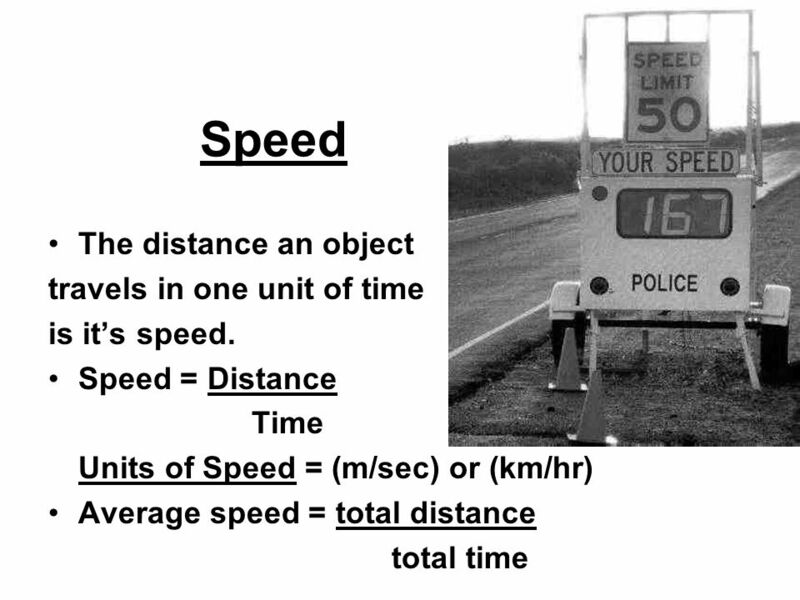 The speed of an object is the distance the object moves per unit of time. Speed may be written as an equation. 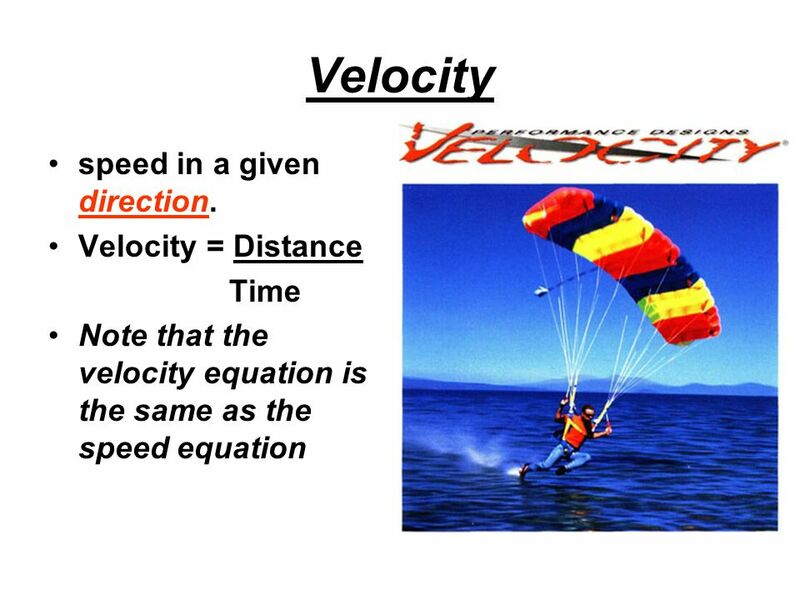 Chapter 2: Motion Unit 1: Energy and Motion Table of Contents 2 2 2.1: Describing Motion 2.2: AccelerationAcceleration.